"Brussels sprouts--yuck!" or "Brussels sprouts--yum!" The difference between these two reactions at your dinner table is the difference between sprouts that look bright green and crispy and those overcooked mini-cabbages that are as appetizing as a pair of Army-green camouflage pants. 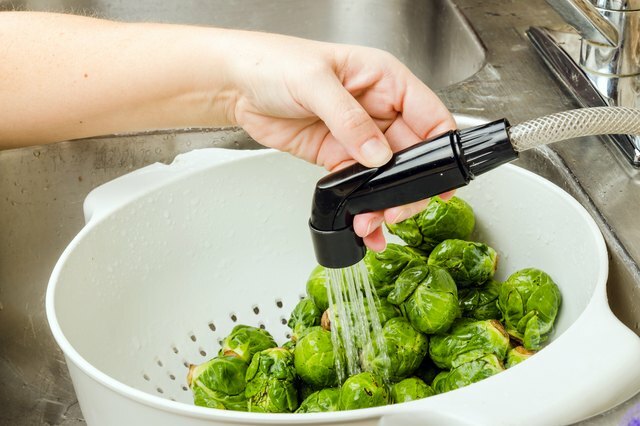 Blanching and shocking is the secret to keeping your brussels sprouts appetizing and delicious. Even a novice cook can turn the much maligned cabbage into an enticing treat. Bring a large pot of salted water to a rolling boil. Add Brussels sprouts. Bring back to a boil, and gently boil sprouts until crisp-tender. 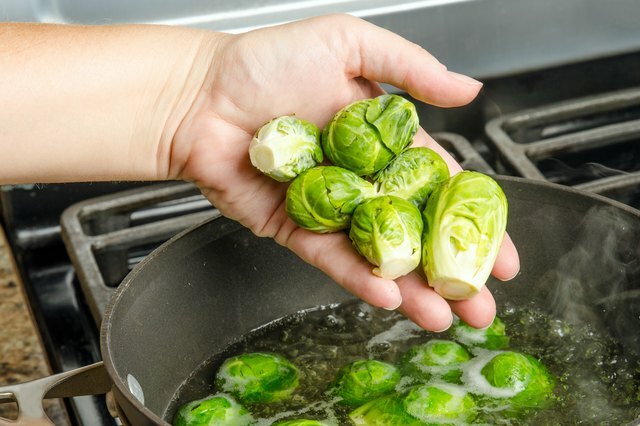 The amount of time you boil the sprouts will vary based on their size. After about 3 to 4 minutes, test a sprout for tenderness by poking it with a fork. You should be able to pierce the sprout with the fork. It should give a little, but still feel firm. 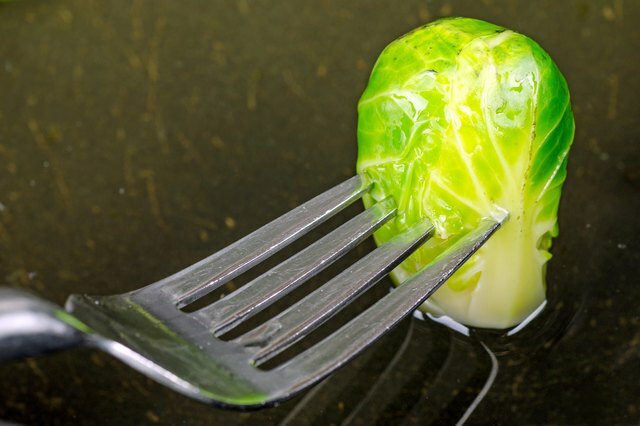 If the sprout won't give when poked with the fork, it is still raw. Continue boiling until tender, but be careful not to overcook. 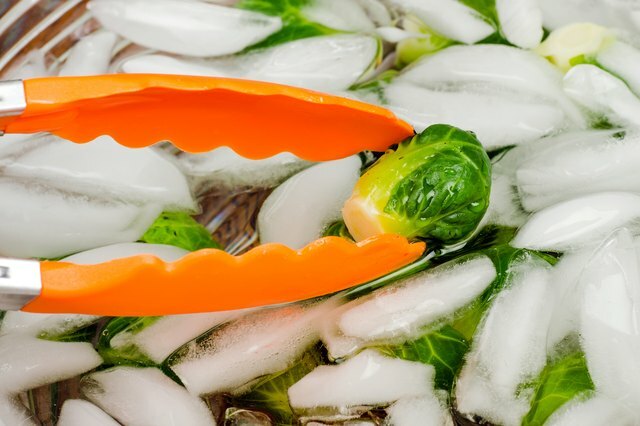 Transfer Brussels sprouts from boiling water to an ice bath using a slotted spoon or tongs. This "shocks" the vegetables and stops the cooking process. 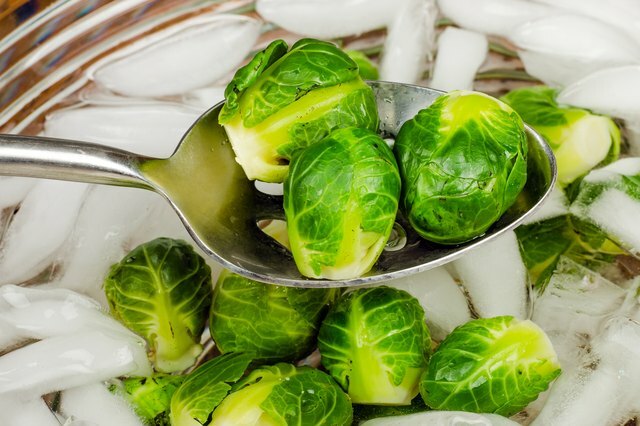 Remove Brussels sprouts from ice bath after a few seconds. Freeze, saute or roast your Brussels sprouts. 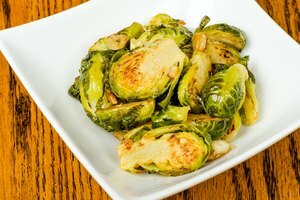 Since blanching already has brought the sprouts to the peak point of tenderness, you need only to quickly saute or roast them for a few minutes to warm them and brown up the edges for a nice, savory flavor. When shopping for fresh Brussels sprouts, choose firm, compact heads. 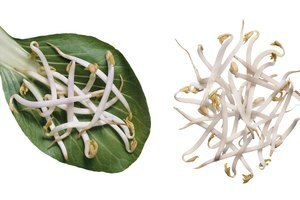 Avoid sprouts with yellow or wilted leaves. When sauteed, blanched Brussels sprouts cook faster and retain less oil. 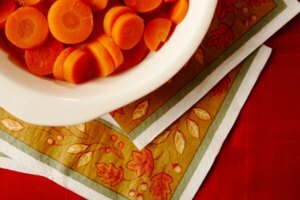 Blanched vegetables retain more of their color, nutrients and flavor. 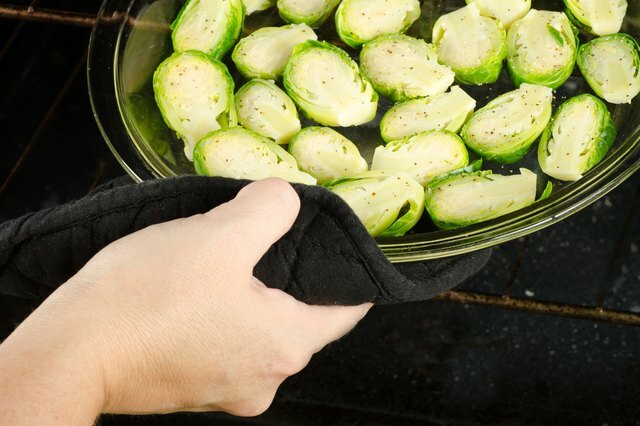 Blanching Brussels sprouts before freezing stops the ripening process, so they don't "go bad" while frozen. 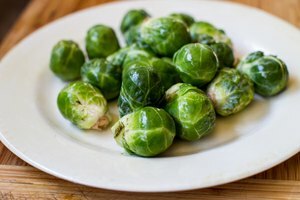 Do not overcook Brussels sprouts. They will turn mushy, dark green and bitter. Healthy. Happy. Life. : Why Blanch? Make Your Veggies POP with Color!